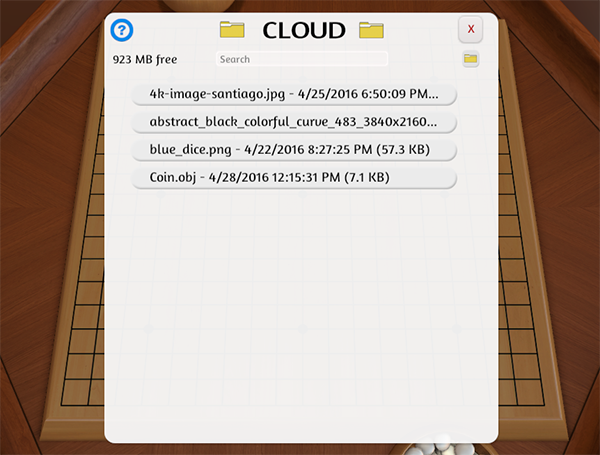 04/29/2016 – Update v7.2 Custom Tile, Optimizations, Cloud & Scripting Improvements! Another small update this week to add in some overall game improvements. We’ve updated a couple of our earlier DLCs, like Euphoria and Mistfall and they look awesome! We’ll be updating Superfight in a future patch as well, and then all our DLCs will have their own themes and custom backgrounds. We also have done a LOT of optimizations and added improvements to the Custom Tile, Cloud Manager and Lua Scripting. Enjoy! 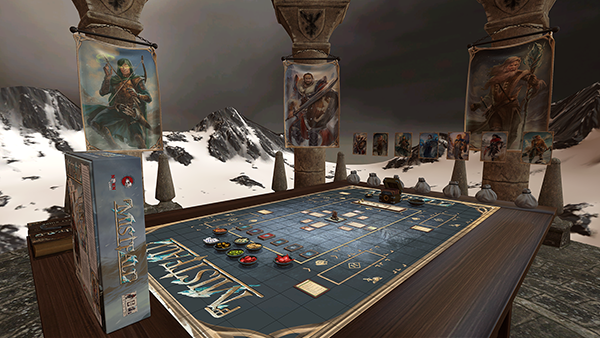 Remember to read our Knowledge Base for tips and tricks on how to properly use Tabletop Simulator. We’ll be starting up our video tutorials again as well, so stay tuned for that! Added custom table with rotating propellers. Added rulebook (states) on the table. Fixed spelling/punctuation mistakes in tooltips. Created new rule books/quest guide as states to match the theme. 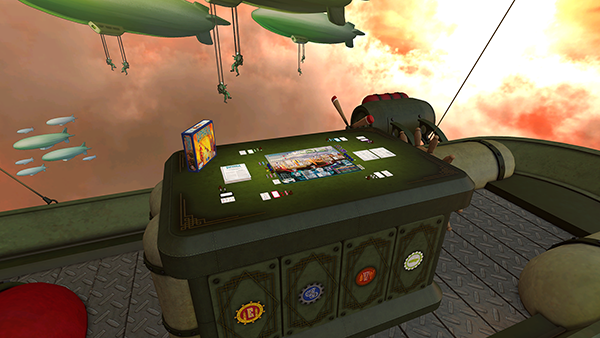 Tablets with rules moved inside the Mistfall game box. In the Custom Tile object, there is a new type called Mat. Check this if you want to create custom Mats with rounded corners. Custom tiles will now scale to match the aspect ratio of the image. ‘Cloud’ in the top menu has been renamed to Cloud Manager. You can now upload files to cloud within the cloud manager. Menu now shows your cloud space usage. Menu will give a warning when you’re low on space. When you click on a file, it will copy to the clipboard. Fixed escape key not closing the menu. Added TextTool class to Object. Fixed getTable() and setTable() when using tables of tables. Added next player to onPlayerTurnEnd(). Added previous player to onPlayerTurnStart(). Made Player class a static global class. For example, use Player.Red.seated to see if someone is seated in player Red. Added JSON static global class. Added right Click TextTool to copy GUID to clipboard. Fixed editButton() swapping y and z axes for position/rotation if they are not provided in the parameters. Converted Lua Player class to Global static Player class. Fixed issue with Lua scripting buttons not syncing correctly. Fixed issue with TakeObject from bag with scripting collision. Scaling steps are now much smaller for more accuracy. The range you can scale objects is much larger. You can now hold down the scaling button (+/-) and it will continuously scale. Greatly optimized physics performance when having a lot of unlocked objects. Optimized stutter causing garbage collection. Improved the dealing of cards, by having cards automatically go to the right/end of cards in your hand so you will always know the placement. File Browser will now remember the last size and position of the window after closing. Vector lines drawn on objects now hide in hidden areas. Added sales percentages to DLC menu when they go on sale. Reduced physics explosion when multiple objects are trying to snap to the grid. Fixed stretching on the Lua Scripting buttons. Fixed issue with custom tokens duplicating when pressing ALT+right click. FIxed issue with custom backgrounds to fix clipping. Fixed issue with custom object not being highlighted when custom menu is open. Fixed issue with game crashing when lots of jigsaw pieces collide. Fixed issue with Infinite bags floating away into the air with certain objects inside. Fixed custom tile collision issues. Fixed issue with decks taking the name of cards if they both have the same name.